With the lovely weather we are experiencing here in Australia we are right in the middle of prime barbecue season and while others around the world are experiencing wintery weather, the love of barbecues (or cook outs) is universal. 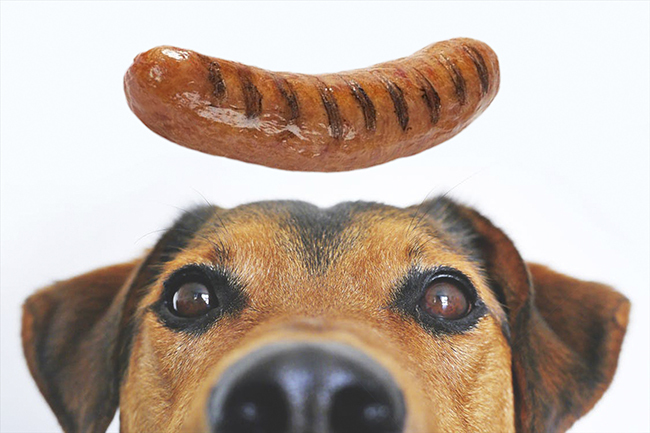 Sharing a barbecue in the backyard with your family dog is one of those past times that sticks with you forever but it’s important to know what types of foods are safe to feed to your dog and what foods could cause an adverse reaction to your beloved pet. We spoke with our Jetpets veterinarian Dr Kes and asked her to give us some advice to make sure your family barbecues are pet friendly this year. All members of the onion family (garlic, scallions and shallots included) contain compounds that can cause medical problems for dogs. These compounds cause complications for your dogs red blood cells causing weakness, fatigue and reluctance to move. While the amount required to make your dog sick is significant, it’s best to not take the risk. Chips are not considered a healthy food for humans and the same could be said for dogs due to the high sodium content. Too much sodium in your dog’s diet can cause vomiting and diarrhea and can lead to sodium ion poisoning in extreme cases. So, don’t let your pooch clean up the bag of spilt chips during your barbecue. Sharing a cold beer with your friends is a great time. Sharing one with your dog can lead to significant problems for your pet. Dogs have a relatively small liver and they have a hard time processing the alcohol in the beer. Liver damage to your dog can be fatal and ensuring that your dog doesn’t lap up a stray beer will make sure they stay healthy. While chicken meat is perfectly safe for your dog to consume problems can arise when dogs are given whole chicken wings to consume. The small bones contained within chicken wings can splinter and crack easily becoming lodged in your dogs throat which can cause breathing problems and can even puncture the dogs digestive tract. Ensure your chicken wing bones find their way into the bin rather than the garden where your dog will go hunting for them later.